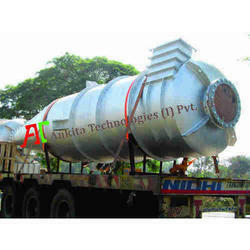 We are one of the prominent organizations engaged in providing an array of Cyclone Separator. These are devices that separate solids in powder or granular from air and gases perfectly. Cyclone is very dependable and creates least noise during operations. These are used in both heavy and light duty types and can be customized as per the requirements of our valuable clients.